Anti-slavery activists Abdallahi Matallah Seck and Moussa Biram are free! After 743 days in jail including more than one year in a remote prison 1100 kilometers from their loved ones, Abdallahi Matallah Seck and Moussa Biram are free! They were released on 12 July 2018 after having served two years in prison out of their three-year sentence. 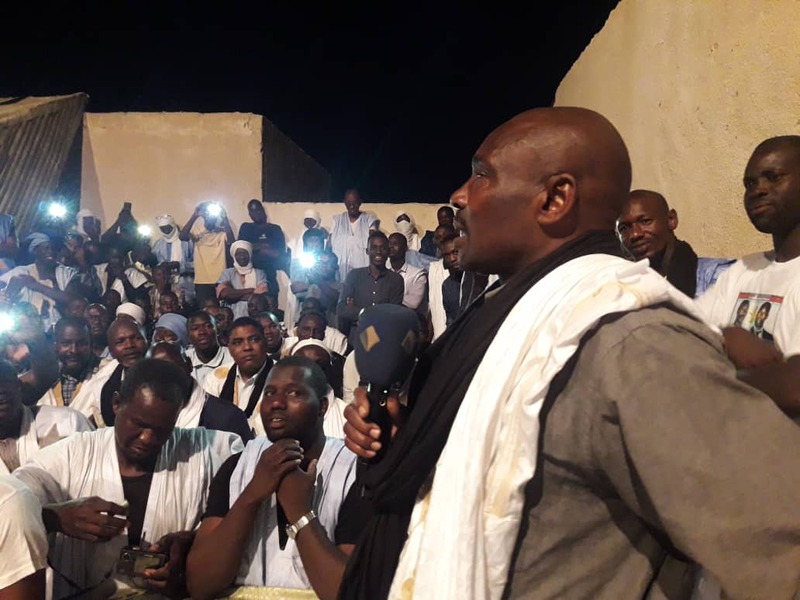 Moussa Biram and Abdallahi Mattalah should never have been arrested and convicted in the first place but they spent two years behind bars simply for peacefully defending the rights of all those suffering from slavery and discrimination in Mauritania. Even though they are free, Moussa and Abdallahi will continue to live with a sword hanging over their heads. For the next year until 2019, the will be serving out their suspended. Nevertheless, they will continue to campaign against slavery in a country where authorities repress human rights defenders. A big thank you to all of you who have taken action on this case since 2016. Your incredible support has helped Moussa and Abdallahi.